(LDXH) On October 4th, 2018, the Ministry of Labour - Invalids and Social Affairs (MOLISA) and the Korea Agency for Occupational Safety and Health (KOSHA) held the signing ceremony of the Technical Cooperation Agreement 2018 - 2021. Attending the ceremony were Deputy Minister Le Tan Dung, Mr. Lee Chul Woo - Vice Chairman of KOSHA, Mr. Ha Tat Thang , Head of Department of Work Safety (MOLISA) and leaders of some relevant units. Since 2003, the Department of Work Safety and the Ministry of Labor, Invalids and Social Affairs (MOLISA) has been implementing cooperative activities within the framework of the Technical Cooperation Agreement on Occupational Safety and Health between MOLISA and KOSHA, thereby achieving remarkable results. Occupational Safety and Health staffs have many opportunities to improve their capacity and experience through annual training courses, conferences and seminars on OSH in Korea. 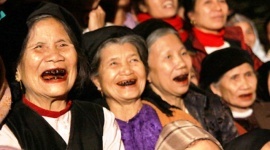 KOSHA also trained and trained many OSH officials and trainers for MOLISA and other organizations. 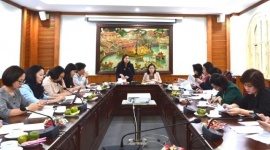 In addition, KOSHA also sent many experienced consultants and trainers to Vietnam to provide policy advice on Occupational Safety and Health training and topics. At the same time, KOSHA also provided labor protection equipment for MOLISA and Occupational Safety and Health training centers. 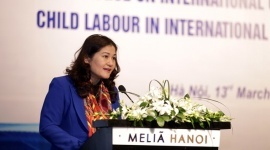 Speaking at the Ceremony, Deputy Minister Nguyen Tan Dung highly appreciated the results achieved in the cooperation between the Department of Work Safety and KOSHA, making practical contributions to research and policy development on Occupational Safety and Health in Vietnam. 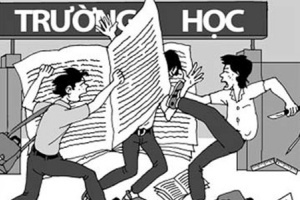 Training courses, workshops and seminars in Korea have helped staffs to update and learn more about the progress of occupational safety and health activities, contributing to the professional work and establishing occupational policies in Vietnam. 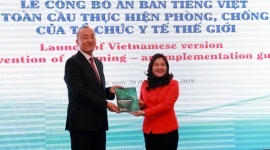 In the past period, KOSHA has also provided a lot of support implementing the project "Strengthening capacity of developing OSH training centers in Vietnam" by the Korea International Cooperation Agency (KOICA). 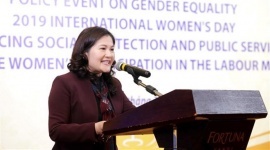 Deputy Minister hoped that the proposal for a new project to develop satellite centers and training networks in the south, the agreement would continue to help Vietnam in training and supporting the capacity of the contingent of Occupational Safety and Health staffs and lecturers. Through this cooperation agreement, the Department of Work Safety, MOLISA and KOSHA will effectively implement the activities, programs together as well as discussions on new cooperation in the context of Vietnam is accelerating the process of Industrialization – Modernization. According to Memorandum of Understanding, the main purpose of this Agreement is to support MOLISA in the field of Occupational Safety and Health and promote culture of work safety in the both country through the cooperation between MOLISA and KOISHA. 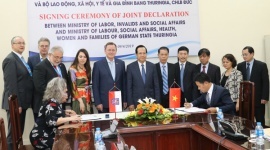 The scope of cooperation includes: exchange of training and advisory specialists in areas of mutual interest; Training activities on OSH for Vietnam; Provide training equipment, exchange of information and technical documents ... MOLISA and KOSHA may change the scope of this Agreement with the consent of both parties. The implementation of the cooperation is from October 4th 2018 to October 4th 2021, and may be extended upon agreement of MOLISA and KOSHA.